Round Robin is used to route requests between two or more backends. As an example, consider a service that needs to route to both www.example.com/backend1 and www.example.com/backend2. 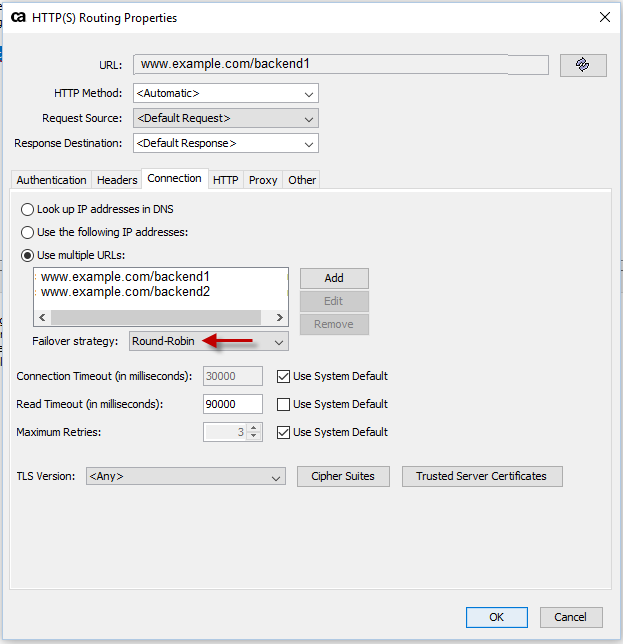 In the service, select the Route via HTTP fragment, select the Connection tab, and ensure Round-Robin is being used as the Failover strategy. This will bound requests between each backend.